(Chris Detrick | The Salt Lake Tribune) A protester and supporter of Republican presidential candidate Donald Trump argue outside the Infinity Event Center on Friday, March 18, 2016. In March 2016, I found myself standing in line outside of the Infinity Event Center in Salt Lake City. A few hundred people were standing in line to see then-candidate Donald Trump. I was one of them. I was there trying to make sense of the rise of a candidate who felt so deeply out of step with Republican values of Utah. The event was delayed, and since a friend was watching my young son and I didn’t want to keep her, I decided to leave and head home. That moment hit me in the gut. I knew there was a divisive rage building in this country, and candidate Donald Trump unleashed it. 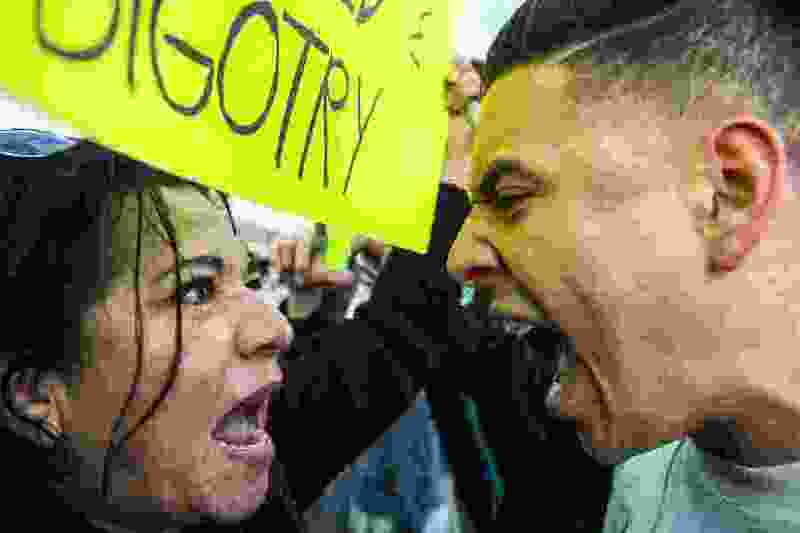 President Trump requires this rage to stay in power. Eventually, Trump took the stage that night. He mocked Mitt Romney and his faith. He rolled out his usual cruel material of name-calling and undermined the very decency and kindness at the heart of what I love so much about being a Utahn. Then he got elected, and I decided to run for Congress. I stay motivated every day by this question: How can we move ourselves back to politics that better reflects our values? When I knock on doors, I start by listening. What do people value? What are they thinking about when they go to vote? We share many of the same concerns, many of the same desires for our communities and for our children. We like rules, we like order, and we desperately want a government that works. We need leaders who will work from the common ground of our shared values: honesty, integrity and family. We yearn for a politics of possibility, where all the best ideas from business and government and academia come together to rise to the challenges of the ballooning cost of health care and the growing gap between the rich and poor. The politics of possibility allows us to advance the best ideas of science and industry to tackle climate change, clean up our air and prioritize immigration reform to end the heart-wrenching policy that allows the detention of over 13,000 children as they and their parents seek refuge in America. My opponent will lament that these are dark times. I felt that way before I started this campaign. But now I have had the privilege of meeting thousands of people and speaking with them about our shared values. I know that people do not subscribe to the politics of division. They, too, crave a future of kindness. To get there, it’s going to take people standing up for Utah values. I see these individuals everywhere — maybe it’s you. From the small group that has been standing on a corner in Salt Lake City for over 100 days to remind us that family separation is an unacceptable solution to our immigration issues, to the mom in Davis County who is talking to her nonvoting neighbors about why health care is important to her and her son with autism, to the tens of thousands of new voters in Utah who will be voting for the first time, these people reflect the very best of who we are and who we want to be. This election is about asking ourselves if we can do better. Can we restore faith in our government and in each other? I know that my faith in my community has been restored as I’ve campaigned across this vast district and met thousands of Utahns who are decent, good people. We pride ourselves on our kindness and our ability to work together. Now, we all must vote. 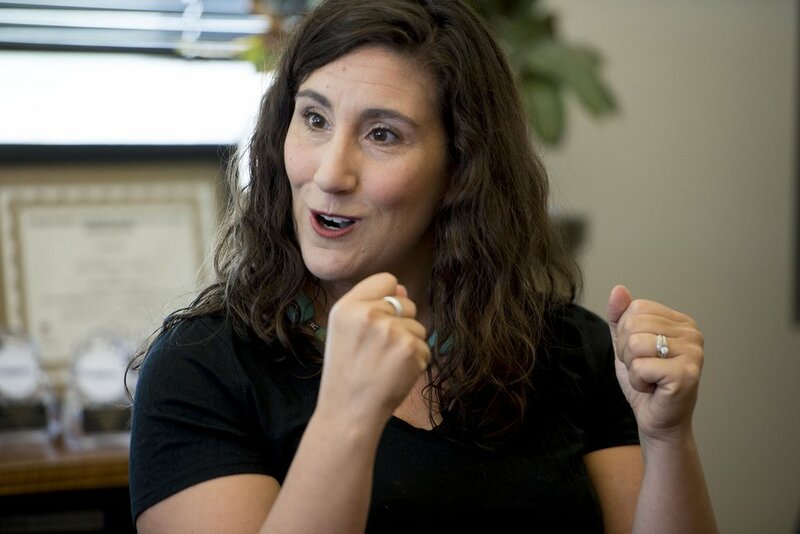 Shireen Ghorbani is the Democratic candidate for Utah’s 2nd Congressional District.